Signalling threat to the stability of the Meghalaya Democratic Alliance (MDA) Government, the United Democratic Party (UDP) on Tuesday asked other partners of the coalition to support its candidate as the “common candidate” for the upcoming Lok Sabha elections from Shillong Parliamentary Constituency by keeping in mind the importance of “stability” in the present coalition Government. The UDP has come up with an idea of having common candidates of the MDA from Tura Lok Sabha seat and Shillong Lok Sabha seat next year. The UDP said that a National People’s Party (NPP) candidate should be the common candidate of the MDA from Tura Lok Sabha seat, while the UDP nominee should be the common candidate of the MDA from Shillong. When asked if there is a threat to the stability of the MDA Government if the coalition partners do not support a common candidate projected by the UDP, Lanong said, “Lack of understanding among the MDA partners may affect and bring instability in the MDA Government. I feel we have a better chance to win both the seats if we have common candidates,” he said. The MDA Government led by the NPP was formed by six political parties apart from Independents after the February 27 Assembly polls this year. The six political parties include NPP, UDP, Hill State People’s Democratic Party (HSPDP), People’s Democratic Party (PDF), Bharatiya Janata Party (BJP), Nationalist Congress Party (NCP) and Independents. Lanong informed that the UDP has decided to announce its official candidate from the Shillong Parliamentary seat for the 2019 Lok Sabha polls on October 31 next. Stating that UDP would submit this proposal to the NPP which is leading the coalition Government, Lanong also sought the support of other MDA partners, keeping in mind the importance of “stability” of the MDA Government. “Our proposal is that the NPP should set up its candidate only from the Tura seat, and support the UDP from the Shillong seat,” the UDP leader said. Lanong said that the central executive committee of the party has accepted two former legislators of the party – Jemino Mawthoh and Paul Lyngdoh – to be aspirants for party ticket from Shillong Lok Sabha seat as both of them were keen to stand as candidate of the party and contest the upcoming Lok Sabha polls. “We have fixed October 31 as the date for finalising an official candidate of the party from among the two,” Lanong said. He said that the UDP would also approach other regional political parties which include the HSPDP, PDF and Khun Hynñiewtrep National Awakening Movement (KHNAM) for their support and have a discussion with them on the matter. 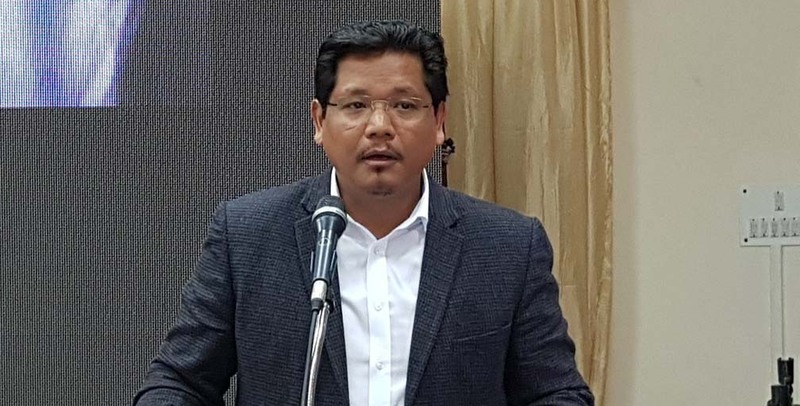 Mawthoh, who is the UDP general secretary, said that the party was very positive that an idea of having common candidates in both Shillong and Tura Lok Sabha seats would fructify. “We understand that every political party needs to position itself, but if dialogue is there, we have every reason to believe that we can have a positive outcome,” he said. Meanwhile, the UDP has announced its first list of 10 candidates for the upcoming elections to the Khasi Hills Autonomous District Council (KHADC) next year. The final list of candidates from the remaining constituencies of the KHADC will be announced on October 31 next. The names include two former legislators – Embhalang Syiemlieh from Mawlai and Titosstarwell Chyne from Sohra constituency. Sitting MDCs of the KHADC who are also candidates in the first list including – Teiñwell Dkhar (Shella), Donkupar Sumer (Umsning), Rona Khymdeit (Nongpoh), Ricky Shullai (Laban-Mawprem). Other candidates include S Basing Roy Kharshandi (Nongthymmai), Olan Suiñ (Mawsynram), Mcdonald Kharkongor (Mylliem) and Khamshai Lyngdoh (Mawphlang-Diengiei). The UDP has also asked district units to speed their recommendation in as far as candidates for the elections to the Jaiñtia Hills Autonomous District Council (JHADC) are concerned. A manifesto committee with Lanong as chairman was also constituted. The UDP has ruled out pre-poll alliance with the HSPDP for the upcoming elections to the districts councils. The next meeting of the Central executive committee will be held in North Garo Hills district on October 27 next.